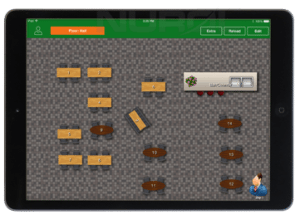 Setting up a floor plan for your restaurant can be a complicated and daunting task. 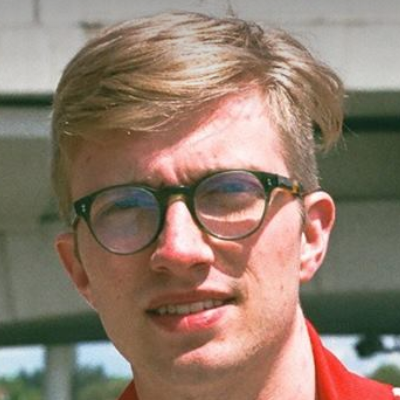 Finding a balance between aesthetic and flow is extremely difficult. You won't get it right the first time, but with a few iterations, you can create a floor plan with the perfect flow. It may be tempting for restaurant managers to only think about food quality, but the research proves it's critical to optimize the layout of your restaurant. An excellent floor plan can help your customers relax and take in the atmosphere of your space. Ultimately, a pleasant atmosphere will make guests more comfortable with spending their money. Here's how to find an architectural layout that improves the customer experience. Pique the customer's curiosity by offering more than one way to enjoy your restaurant. Creating dining spaces that go beyond the dining room will encourage customers to come back again for different experiences. Private rooms, multiple bars, patios, open dining rooms, poolside snack bars, grab 'n' go food stops on the course are all different ways that diners can interact with the food service side of your business. Having a variety of seating options makes it possible to serve multiple group sizes for any occasion. It makes sense to have a multifunctional space that can host sports teams, tournaments, leagues, weddings, corporate meetings, or any event. These groups all vary in the level of privacy they require so consider that when designing a floor plan that can accommodate any need. Part of designing an appealing dining experience is having a cohesive and on-brand interior design throughout your entire restaurant operation. By installing good furniture, lighting, art, and fixtures, you create a lot of value for your guests. The design of your restaurant is critical for contributing to the atmosphere of your restaurant operation. Lighting, for example, needs to make the food the comes out of your kitchen look appealing. It's proven that certain lights work better for this than others. Bathrooms should be quiet and kept away from the dining room. When it comes to the entrance, consider how the air from outside or new patrons could interrupt the guests seated near the door. Your clubhouse absolutely should have a theme, so decide on one and stick to it. You'll want a cohesive statement that is clear to guests the moment they arrive at your facility. Hiring the outside help of an interior designer can significantly aid the process. Every restaurant has its best and worst seat. Usually, the worst ones are by the door, and the best ones have a good view of the course. Your goal as a restaurant manager should be to turn the worst seat into the best one. Of course, this takes a lot of creative thinking. Our best advice is to center the seating layout around a central theme. Most likely diners at your golf course want a view of the golf course, but if you cant give every patron this view, make sure they can see something interesting. Putting in a well-designed bar space with televisions, or some theme-appropriate art on the walls will add to the experience. 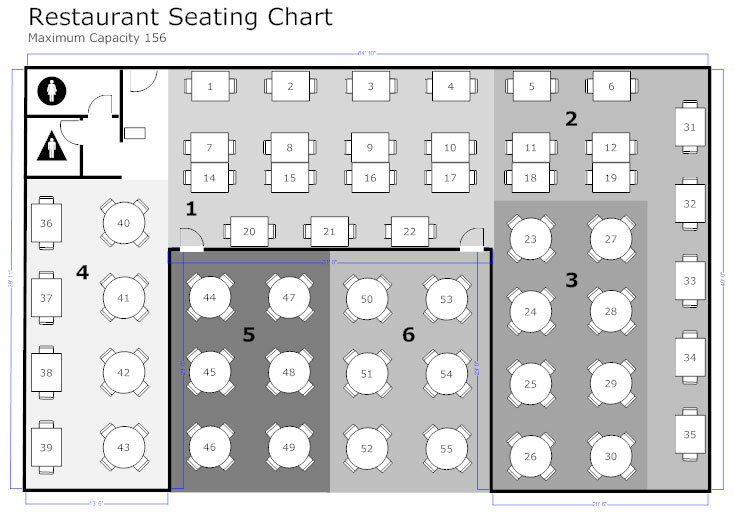 Think about the experience that each diner will have a from every possible seat in the restaurant and then try to make it better for less desirable seating locations. One thing that frustrates guests is when restaurant staff is stressed, running around and bumping into tables. Sometimes these problems can be solved by introducing a floor plan that optimizes staff workflow, whether that be moving tables away from the kitchen doors, creating larger aisles for staff to deliver food, or creating clearly defined service zones within your POS system. Workflow between the kitchen and floor staff is especially important for providing timely, prompt, and professional service. One way to aid with this is to cut down on order time with self-order POS systems. 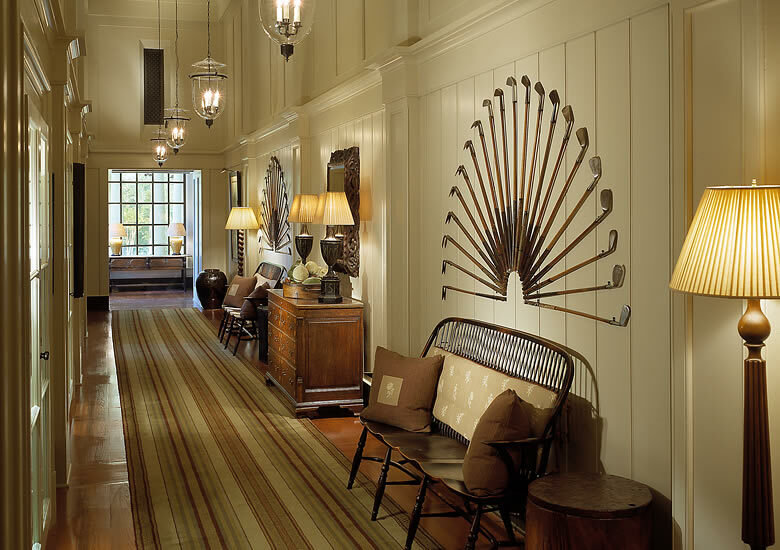 The entry to your restaurant is your first chance set the tone and communicate your clubhouse's brand. Make sure the first thing your guests see and smell are inviting colors, designs, and aromas. Make sure to include a well thought out waiting and reception area that doesn't cramp guests or staff. 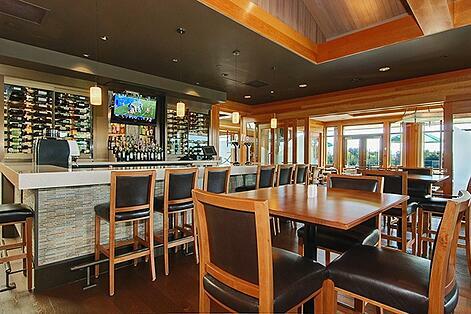 Add a bar area to these spaces to help customers ease the wait time with a drink or appetizer before sitting down. What's most important is that the experience of your restaurant and brand is clear from the start. At the end of the day, your clubhouse is unique. Chances are you won't get the setup entirely perfect on the first iteration. The most important part is to keep optimizing how you organize run your restaurant. It may take 5 or 6 rounds of brainstorming to get the perfect mix on your restaurant floor. You know your customers best, and you know how to fulfill their unique needs. Listen to their voices throughout the process of rethinking your layout. Customer feedback is always a crucial tool for designing an experience that suits them. Now, go forth and give your clubhouse the best restaurant you possibly can.